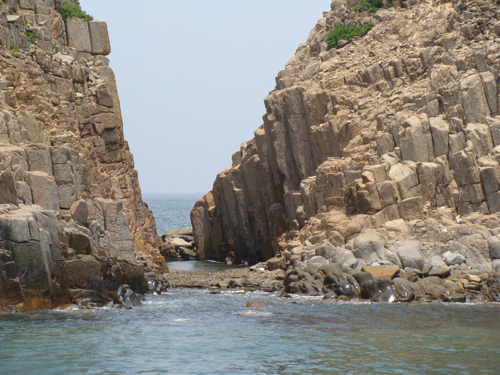 It is a famous archipelago located on the south-east of Hong Kong. 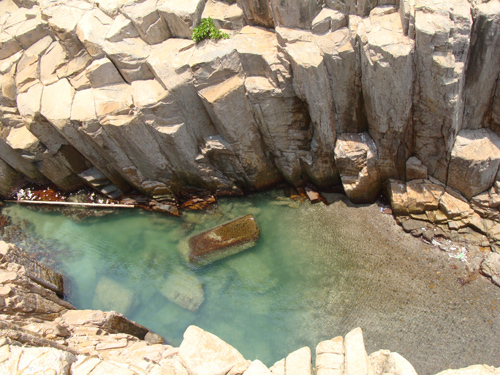 This archipelago is very rich in geographical features mostly related to the ancient volcanic activities of Hong Kong region. 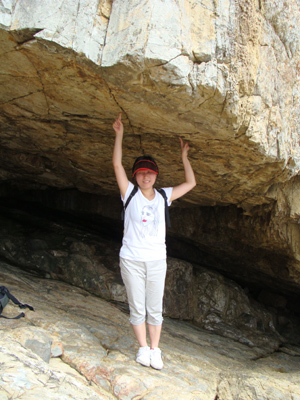 Its Basalt Columns (六角石柱群) are very famous. 9 Pin Island Basalt Columns are much bigger than those found in Giant Causeway of Northern Ireland. 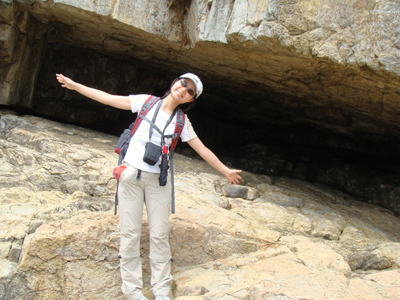 It is more a sight-seeing place than a hiking place. There is no regular ferry to take you from down town to 9 pin Islands. You can check out some local tour operator for assistance. 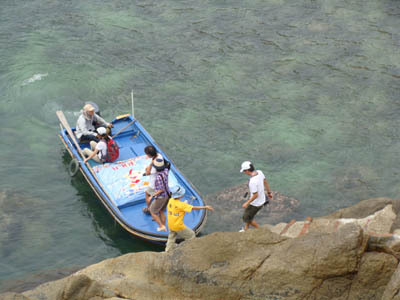 Or optionally you can arrange a boat by yourself. The sea between 9 Pin Islands and Hong Kong Island could be very rough sometimes. 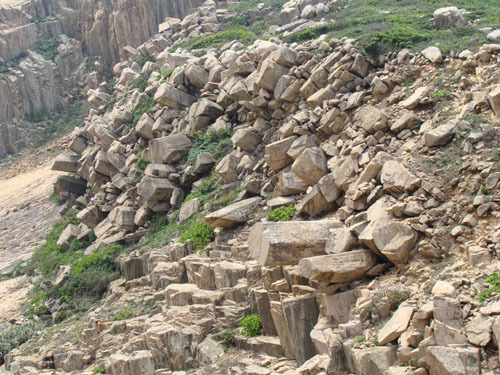 These horizontal Basalt Columns is dubbed Cannon Rock (大炮石). This is a make-shift pier on the south 9 Pin. This is a mini-temple for Chinese Sea God (天后). 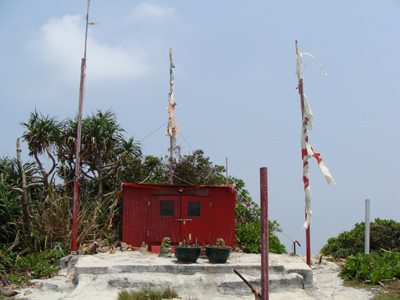 There are many Sea God Temple all over southern China, this one is probably the smallest one. People could only worship outside, too small for people to get in. 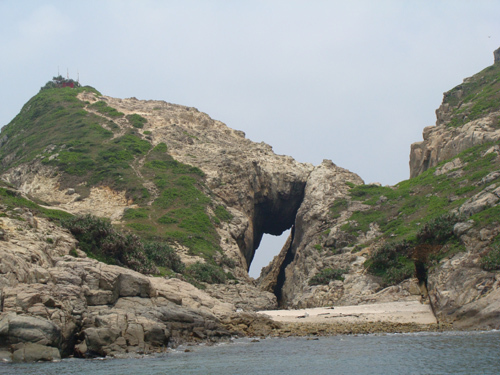 It is a giant through-hole is called 虎口門 or 穿窿門. This is a huge rocky chamber. I was told this chamber could accommodate 100 peole. If so, they are all tightly packed. Check it out yourself. 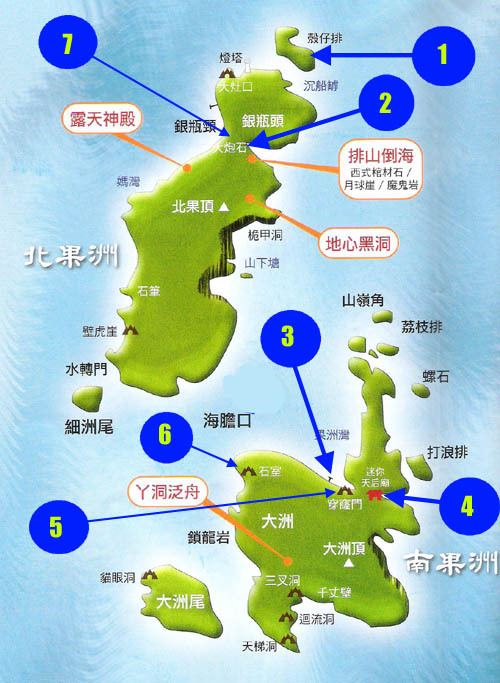 It is 銀瓶頸， a narrow low-land connecting the two islands. The low-land will be flooded during high-tide.